Wondering how high you’ll be if you summit Mount Kilimanjaro? The Roof of Africa is approximately 19,341 feet above sea level. That’s indeed a big trek – and not one everyone completes, for a mixture of reasons. But by far the biggest reason people blame for Kilimanjaro’s paltry 40% summit success rate is the high altitude. In fact, in order to increase their chances of reaching Uhuru Peak, many hikers ask their doctors about Diamox, a prescription that may be able to prevent or lessen the effects of high altitude on your body. So what is Diamox, is it really worth taking and can you reach the summit without it? From side effects to usage tips, we’ll cover everything you need to know about taking Diamox while climbing Mount Kilimanjaro. Why do People Take Diamox? First off, it’s good to know that Diamox is the prescription name for the generic drug acetazolamide. And, though acetazolamide is prescribed for the medical treatment of glaucoma, sleep apnea, epilepsy and hypertension, it’s also used to prevent altitude sickness. When you start experiencing any of these symptoms, you may be forced to stop your climb before more serious medical problems develop, like High Altitude Cerebral Edema (HACE) or High Altitude Pulmonary Edema (HAPE). So, how does Diamox work to prevent this? Specifically, Diamox makes your blood more acidic. When this happens, your body thinks there’s too much carbon dioxide in your blood so it works harder to pump more oxygen back in. That means your body will cue you to breathe deeper and faster to get rid of the excess carbon dioxide, allowing more oxygen into your bloodstream. This extra oxygen works well for acclimating your body to high altitudes and preventing AMS symptoms. Yay science! What do You Need to Know About Taking Diamox While Hiking Mount Kilimanjaro? Diamox is available via prescription from your doctor and is not available over-the-counter. So you’ll need to plan ahead and schedule an appointment if you think you may want to use it. The usual recommended dosage is 125 mg twice a day, taken once in the morning and once at lunch. To maximize the effect, it’s best to take Diamox when during exercise, rather than when you’re sleeping. Treatment should be started 24–48 hours before your climb and continued while you’re ascending and at high altitude. You can stop taking Diamox as soon as you start descending. It’s recommended to check how your body reacts to Diamox before your climb, especially since there’s a chance you may be allergic to it. This will also give you a good indication of how you’ll feel on Diamox alone, versus how you’ll feel at high altitude and on Diamox. Two weeks before your departure, take the recommended dosage for two or three days to monitor for side effects. Side effects are most likely to happen during the first few days of starting your prescription, which is another reason to give it a test run. Notice something strange about these side effects? If you said they seem strangely similar to the symptoms of AMS, you’re not wrong. However, most people experience very mild reactions to Diamox so the side effects of taking it seem minor in comparison to making it to the Kilimanjaro summit safely. Should You Consider Using Diamox? Not all hikers need a Diamox prescription in their daypack to reach Uhuru Peak. But many first-time hikers — especially those experiencing high altitude trekking for the first time — find it useful to have just in case. Diamox is a diuretic so it can dehydrate you, which can quicken the development of AMS symptoms. Diamox will cause frequent urination so you’ll need to stop to use the restroom (er, side of the mountain) more often during your hike and possibly in the middle of the night. Your hands, feet and face may tingle uncomfortably. This tingling sensation has often been described as a tingling of your face and extremities like your fingers and toes. Though unpleasant to some, this side effect is not dangerous. Diamox does not prevent AMS all the time. Hikers sometimes get carried away when taking Diamox and believe they won’t succumb to the symptoms of altitude sickness. That couldn’t be further from the truth. Diamox cannot prevent serious AMS, only minor symptoms. It’s the same as knowing nothing can cure a cold, but medication can lessen the severe symptoms. Diamox does not cure AMS. It’s very dangerous to use Diamox on Mount Kilimanjaro if you’re already experiencing signs or symptoms of altitude sickness. It won’t cure you once you have AMS. You should never use it to keep ascending, despite what your body is telling you. Once AMS has started, the only way to be in the clear is to descend to a lower altitude. The best way to prevent AMS is climbing Mount Kilimanjaro slowly. When you give your body time to adjust to the changing altitude and go especially easy during the first two days of your climb, it has a better chance of adjusting on its own. That makes ascending slowly the natural and effective way to reach the summit successfully. 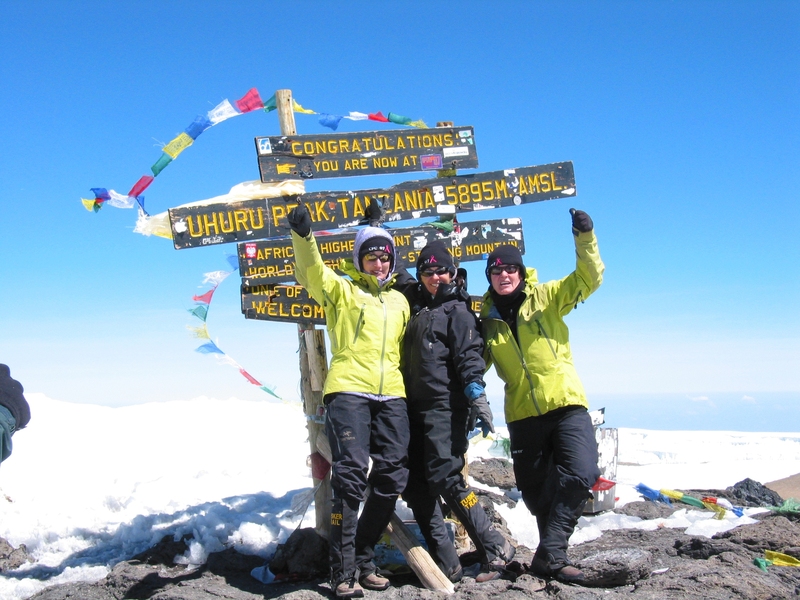 Diamox is best suited for people who have experienced AMS symptoms at high altitude and still want to climb Kilimanjaro. It’s also an option for hikers who have never hiked at high altitude and want to help their bodies adjust, should they need it. Speak with your doctor about the possibility of adding Diamox to your Kilimanjaro packing list. He or she will be able to discuss all the risks and benefits of taking it, while taking into consideration your medical history. If you do decide to take Diamox, don’t forget to test it out prior to your departure to see if you’re allergic or notice any uncomfortable side effects. It’s better to find out before you leave than on the trail. Although acetazolamide can be helpful for preventing many symptoms associated with altitude sickness, it shouldn’t be your first option. 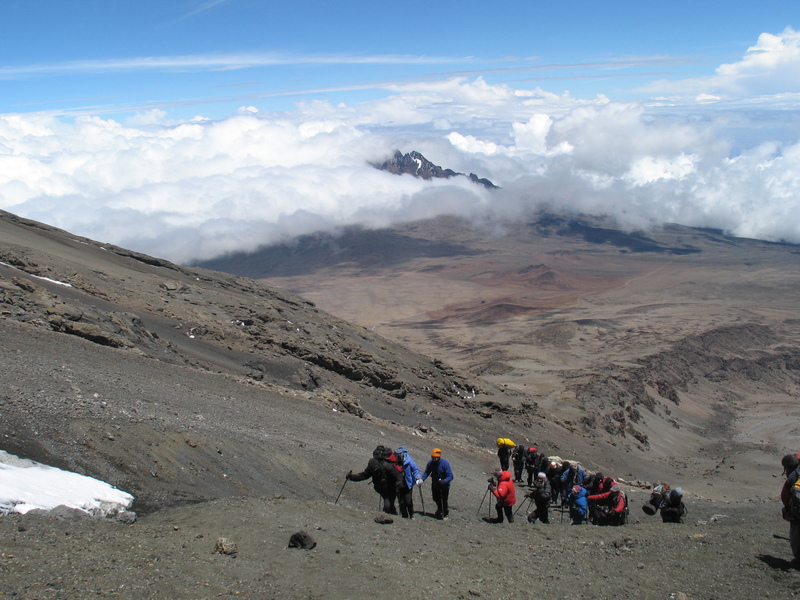 You’ll have the most success reaching the summit and avoiding AMS by taking a longer route for your Kilimanjaro hike. Staying hydrated is another key you can’t forget. Your guides should be monitoring your health by trained observation and with pulse oximeters, which check your pulse rate and oxygen levels, as well. These are critical so that your guide knows how well you’re acclimatizing to the altitude. Here at Tusker, the health and safety of our climbers is our number one priority. We only run 10–14 day Kilimanjaro routes so you’re never pushed to ascend too quickly, and our experienced team will always give you the information to help you prepare for your Kilimanjaro hike. Plus, our guides are experts from their high altitude medical training and their long experience on the mountain. So whether you take Diamox or not, your safety will always be our main concern. Check out all of the safety measures we take on Mount Kilimanjaro and book your adventure today!